Chander: What do you expect from Paris Fashion Week next month? Are you launching anything radical? 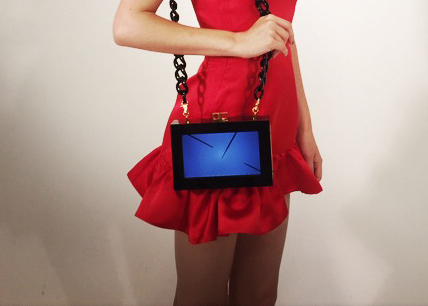 Diana: I am excited to introduce the first wave of TechLuxe in a form of a resin handbag with an LCD video screen. C2C: A Promising idea packaged as a clunky object that looks like it could hurt if mishandled. The chain and gold detailing are derivative of traditional luxury accessories, (the Gucci pedigree is no surprise) hence contrasting with the high-tech contained on and in the bag. One might expect future oriented streamline expressions but this is a reminder that luxury is first and foremost an image we chose to be attached to, if not chained to. _can AI identify pictures better than humans?